In the lead up to that May 4 event hosted by Newcastle University, Social Science Space will publish a series of interviews on academic capitalism and academic resistance with organizers and speakers from the “Reclaiming” event. In this second of a series of interviews conducted by Social Science Space’s Daniel Nehring, Mackenzie explains why he joined this undertaking organized alongside Audrey Verma and the Early Career Forum of the British Sociological Association. He discusses hallmarks of the modern academic institutions and then details some of the events that lead him to believe in both resilience and resistance. 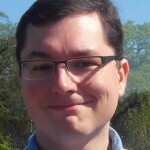 Daniel Nehring: What, specifically, motivated you to organize this event? 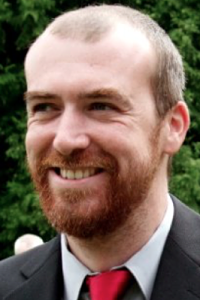 Ewan Mackenzie: The motivation for the event began when I met with Audrey and she articulated her lucid ideas around prevalent discourses of resilience and economic rationalities in universities, both of which resonated with our experiences and interests as ‘early career’ researchers. From that day on we have worked together on the idea and have thankfully received the BSA’s backing, as well as the hugely valued input, enthusiasm and support of our speakers (who also inspired us to organize the event in the first place!). The opportunity to create an event on this topic is hugely inspiring, and in many ways it resonates with an ambition to transform academic critique into tangible forms of resistance and action, both with respect to work and employment in higher education and the public sector more widely. It’s important to be working towards a programme of change, and as junior researchers with fresh insight, we felt that we should take some initiative. A more specific motivation for me, and tied to my research interests, is the opportunity to encourage some further awareness of the ways in which academics are often intimately involved in reproducing conditions of precarity. Neoliberal discourses attempt to make individuals responsible for structural issues beyond their influence, and pass systematic failings and insecurities on to individuals. ‘Resilience’ in this sense, is one such discourse, but there are of course many others, such as the ‘career’ or ‘employability,’ that serve to individualize rather than collectivize our thoughts and actions. When I attended a ‘how to manage your academic career’ event, for example, this confirmed that many of our more senior colleagues, although sympathetic to the plights of ‘early career’ researchers, were resigned to the idea that little could be done to counter precarious circumstances other than that we make ourselves more responsible for our own individual successes and failures, by being more productive, competitive, strategic and socially engaged. Inevitably this advice discourages collective action and promotes unease as individuals, acutely aware of their need to perform and market themselves, focus principally on producing outputs and public profiles that align with narrowly defined top-down performance metrics. It is through these cyclical processes that well-meaning people reinforce a failing system, side-lining collective possibilities to imagine alternatives, and resist and change the current system. Ewan Mackenzie: It’s no secret that the marketization of universities has served to devalue academic work in the humanities, arts and social sciences, while elevating the value of research that promises to deliver quantifiable short-term economic gains. Research in the current climate is likely, more or less, to be formally evaluated and assessed in line with these strategic objectives. Many universities have been colonized by managerialism, gradually generating a distance from the academic values, that many who have entered the university believe in. This means that the space for sociological labor has both changed and contracted, especially if it is of a critical nature. To be a critical scholar and to remain committed to academic freedom means that you are more likely to be living with uncertainty. A second prominent feature of the neoliberal university in Britain today is the ‘student as consumer’ norm, which has drastically changed the nature of higher education. The refusal by universities to defend free or affordable public education has meant that sociological knowledge has been downgraded in favour of knowledge that aligns with student ‘employability’. Attributing students with more and more consumer authority has meant that education programmes have become subservient to the market, putting a significant amount of pressure on lecturers and teachers who wish to uphold academic professional values above student satisfaction measures. Certainly students should come first in terms of nurturing their education, but the dramatic rise in student fees has placed additional pressures on lecturers and teachers who may fear that critical elevations of student work could be a threat to their future career prospects. As students begin to recognise themselves as ‘customers’, they may also begin to demand a return on their investments, opting for science and technology related subjects instead of degrees in the humanities, arts and social sciences. All the while higher education has become inaccessible to many, while for those that do attend, they are likely to be paying for their degree for the rest of their adult lives. These changes mean that education is ever further from a public good and a universal right, and sociological labour has been progressively devalued through this process. In regard to junior researchers, their introduction to academia post-PhD is characterized by exploitative contracts, liminal experiences, financial worry and poor well-being. In these circumstances it is difficult for junior researchers to establish themselves amidst the pressures of gaining secure work. Sociological work takes time, and for many this has meant that research becomes an activity that spans across different contracts and periods out of work. Couple this with the issue that many, at both junior and senior levels, have left the profession altogether, often due to the fact that academics are increasingly conceptualized as potential liabilities through performance management systems. Daniel Nehring: The announcement of the event mentions “explosion in critiques of the neoliberal university, which are accompanied by a comparative dearth of sustained resistance or structural change from within the institution”. Arguably, this contradiction has been an important part of British academic life already since the 1980s. There have been numerous high-profile critiques of neoliberal reforms of higher education across this period, with, apparently, very little practical import. Would you agree with this diagnosis? If so, what might explain this contradiction? Ewan Mackenzie: Yes, I would certainly agree with this diagnosis. In regard to a lack of practical import, there are a number of possible interrelated explanations. First, the current system has gradually discouraged collegiality and collective action by making individuals responsible for their own successes and failures, and in accordance with a competitive and game-like framework. Over the last four decades, academics have found themselves, often grudgingly, in competition with one another through outcome-based performance management systems and in relation to a deteriorating labor market. As Liz Morrish points out, inter-collegial competition is structured according to management delimitations, but it’s not often clear as to what such competition involves. Yet, despite this, there remains a façade of meritocracy that serves to persuade those working in academia that they are responsible for their own employment (in)security. In this sense, individuals may at times blame themselves, rather than the system, for their predicament. Casualized contracts have produced conditions of insecurity, demotivation and anxiety, and people may not speak out for fear of being dispensed with. These are just some of the paradoxes that have likely contributed towards a lack of resistance and structural change. Jana Bacevic’sinsight is also helpful for challenging the academic critique of neoliberalism, which she rightly argues has faced significant problems addressing itself as a subject. That is to say, there is a need to think more about the mundane practices of the self that academics engage in as productive and competitive subjects, those practices that are perhaps complicit in performing precisely what such critique aims to obliterate. We are all familiar with the voicing of critique, but how often is this followed through with new ways in which to act and avert it? There have of course been successful and hard fought cases of resistance, and the UCU strike, we would hope, may provide a watershed moment in this sense. Jana is right to point out, however, that voice alone is not enough. Daniel Nehring: Your announcement cites examples of successful resistance in neoliberal universities. However, these examples by and large refer to localised initiatives at specific universities. How, if at all, can broader systemic change be achieved? Ewan Mackenzie: I think at present, speaking as the UCU strike takes place, there is a sense of hope for achieving broader change. Already there are positive things that have come out of the strike. Firstly, a sense of solidary is palpable among academic workers and students, and this directly counters, albeit temporarily, much of the atomizing, individualizing, and alienating conditions discussed above. 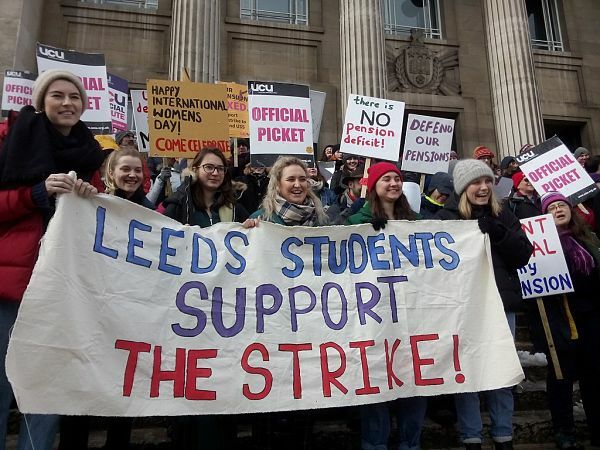 Importantly, the strike has demonstrated that many students are supportive, which is hugely welcomed and helps to debunk the prevailing ‘student as consumer’ figure. The picture has also broadened, and is beginning to go well beyond the issue of pensions alone towards a more widespread critique of neoliberal academia. We hope to add to this movement by highlighting many of the predicaments, tension and struggles of early career academics, with a view to linking this to a wider programme of change. Daniel Nehring: The announcement of the event mentions discourses of resilience. What do you mean by this? Can you give specific examples? 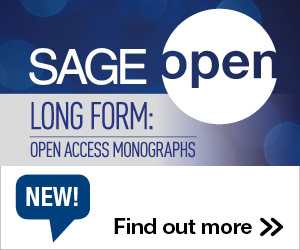 What role do these discourses play in contemporary academic life in the UK? Ewan Mackenzie: Discourses of resilience are widespread and have taken on different forms, often relating to some kind of response to increasing uncertainty or potentially distressing futures. Resilience in this sense is about minimising harm against imagined external threats beyond immediate control (e.g. the threat of terrorism or climate change). However, much of our inspiration on ‘resilience’ discourse came from David Webster and Nicola Rivers, and their more specific observations on discourses of resilience in higher education. Resilience in higher education points to a need for personal strengthening, to withstand shocks, to bounce back from disappointment. Yet, by placing an emphasis on individuals, attention is drawn away from the structural problems that place increasing levels of pressure and anxiety on those working and studying in higher education. In this way ‘resilience’ naturalizes insecurity, and focuses attention on the capabilities of individuals rather than the failings of the systems that they occupy. Critiquing ‘resilience’ discourse in academic life points to the way in which academics are constantly being set up as inferior and lacking in some way, and the way in which such discourse effectively normalize subordination to a broken system. Robin James, for example, discusses resilience in regard to pop culture and post-feminism. The example here is that woman in pop culture are often celebrated as ‘strong,’ ‘resilient’ and ‘tough’ in a male-dominated system. Yet, focusing on the individual characteristics of grit and determination distracts attention away from the systematic issues and patriarchal structures producing such inequalities in the first instance. Neoliberalism in this way places an emphasis on the capabilities of individuals, rather than nurturing a supportive and effective system for all. This entry was posted in Higher Education Reform and tagged Academic Capitalism, neoliberalism, Resilience, Resistance. Bookmark the permalink. Post a comment or leave a trackback: Trackback URL.